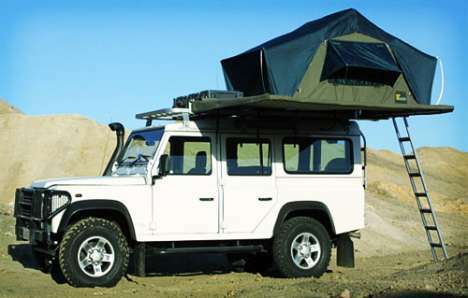 4x4-Kenya is a budget Camper Rental and Hire company that specializes on kenya,Tanzania,Uganda,Rwanda four by four car hire and leasing,Pick up points are kisumu,Dar es salaam,arusha,moshi,mombasa,Nairobi.4x4-kenya car with rooftop tent in Kenya helps you discover the leisure of reliable 4wd cars with two rooftop tents in kenya,Tanzania,Uganda and Rwanda selfdrive Safaris.Our 4X4 cars are equiped with rooftop tent and full camping equipment.We take speciality offering discountad car rental rates and in hiring good quality 4X4 camping trucks,offroad 4X4,small 4x4 suvs, and small reliable jeeps for Kenya, Tanzania, Uganda and Rwanda camping safaris,camping adventures with camping equipment for your african safari travel.Our fleet include toyota landcruiser with rooftop tent,Toyota rav4,Toyota Hi-lux dual cab camper,4X4 vans,and mitsubishi pajero. We target prospects who are looking for a serious and alternative reliable 4X4 car in Kenya,4x4 with rooftent in Tanzania, camper with rooftop tent in Uganda, Kilimanjaro Trekking safari adventure and car rental in Rwanda. 4x4 Kenya,is one of the best and reliable car hire company in kenya,Tanzania and Uganda that has more than a decade experience of providing 4x4 car hire, kenya car rental services, Kenia rent a car, Kenia car hire services, Kenia camping 4x4 vehicles, Kenia expedition adventure tours and in east africa, the service at 4x4 Kenya Car Hire is personal & of the highest standard," We have made it a goal to provide car rentals in Kenya, 4x4 rent a car, Rav 4 camper rental services, Safari 4x4 Landcruiser, Toyota Dualcab Hilux 4x4, at the most competitive rates". "We have new, clean 4x4 cars, 4 wheel drive vehicles, Tough trucks and tough safari landcruisers in Kenya & reliable rental cars, Kenya Jeep carhire and car rental, to ensure a happy, trouble-free automobile service." 4x4 Kenya prides itself on its history of providing an excellent Kenya,Tanzania,Uganda & Rwanda autohome rental services. This includes a free delivery and collection service anywhere within Nairobi and personally meeting customers at the Airport or their Hotel. You only get this when you rent a car in kenya with us. For budget friendly,discounted, reliable 4X4 Car with rooftop tent and full camping equipments in Kenya,Tanzania,Uganda& Rwanda. Our reliable car hire in kenya rates structure are very competitive,with a fleet of clean new rental cars they varry from run-around to luxury .Nothing beats visiting our unique National Parks or simply exploring Nairobi city driving a rental vehicle from 4x4 Kenya. Rent a car in kenya with us and ascend to the capital city of Nairobi, we are also able to help with car hire requirements in the rest of Kenya. Speak to us regarding special requests such as free mobile phone services at 4x4 Kenya car hire kenya. We will satisfy all your car hire needs in Kenya, Uganda & Tanzania. Our service goes beyond just car rental.